Raipur, Mar 22: Within a period of eight days, the security forces engaged in anti-naxalite campaign in Chhattisgarh state succeeded in nabbing as many as 15 naxals from most affected area of Sukma, police said Thursday. Sukma district is onsidered as the hotbed of Maoists. A week ago nine CRPF personnel were killed in a IED blast that blew up their mine-resistant vehicle in Sukma district. Against the background of this incident the arrest of 15 naxalites from Sukma is a significant thing to happen, said a senior official. The Maoists who are held were not involved in the last week attack on CRPF men but were involved in the attack on a police team in which two of the security men were killed in February, the police official said. 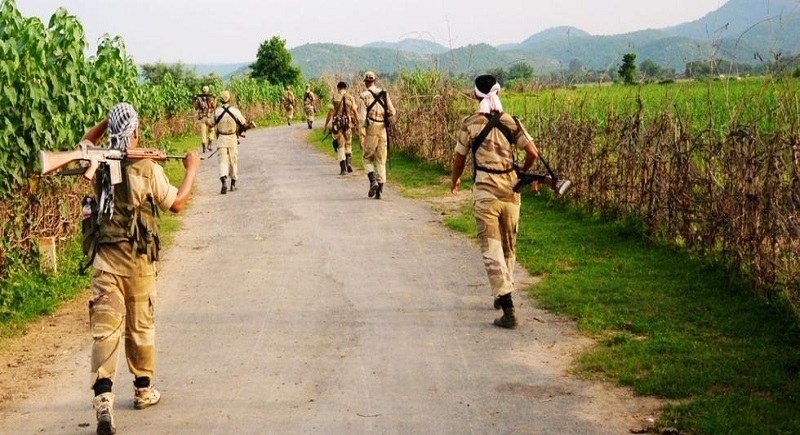 Of the 15 Naxalites, 14 including two women were arrested during a search operation carried out in a forest in Bheji area of Sukma district while another Maoist was held from Pushpal area on Wednesday; PTI reported quoting DIG of South Bastar Range Sundarraj. A joint team of the Special Task Force (STF), the District Reserve Guard (DRG), the District Force (DF) and the CRPF was involved in the operation carried out in Bhejji to nab the 14 ultras. Besides, a combined squad of the Chhattisgarh Armed Force (CAF) and DF nabbed the rebel in Pushpal area, he said. All the 14 cadres arrested from Bhejji were allegedly involved in the attack on a police team in Elarmadgu forest in the area on February 18 this year, in which two personnel were killed and six others were injured, he said. They were also involved in another incident on the same day in the area, in which a labourer was killed and 10 construction-related equipment and vehicles engaged in road laying work were torched, the DIG said. Of the arrested Naxals, Sodhi Pojja (42), who was active as the head of Dandakaranya Adivasi Kisan Majdoor Sangthan - a frontal wing of Maoists in the area - was carrying a reward of Rs 1 lakh on his head, he said. The two women cadres - Rawa Kosi (22) and Hemla Hungi (32) - were working as members of the local guerrilla squad (LGS) in Kistaram and the medical team of Maoists, respectively, he said. The other arrested cadres were lower rung members of the outlawed Communist Party of India (Maoist), he added. Besides, the Naxal arrested from Pushpal area, Madkam Somaru (25), was active as a LGS member in Machkot area and was carrying a cash reward of Rs 1 lakh on his head. He was allegedly involved in at least 10 Naxal-related incidents, including attacks on policemen, killings, torching vehicles used in road construction works and planting improvised explosive devices (IEDs) to harm the security personnel at separate places in Sukma, the DIG said. On March 13, nine CRPF personnel were killed after Maoists blasted their mine protected vehicle using over 50 kgs of explosives in Sukma, which is a hotbed of the ultras in Chhattisgarh. On March 11 last year, 12 personnel of the force were killed in the Bhejji area and their arms looted, when Naxals ambushed their patrol party. A few days later on April 24 last year, 25 personnel of the paramilitary were killed in a similar ambush in Sukma.